For most of the year there are big crowds and big lines at Walt Disney World Resort and Spa. And the reason it is so crowded is because it is a popular and fun destination for people of all ages. But sometimes during your vacation you need a quiet place to relax, rejuvenate and catch your breath. Here are some "hidden" quiet spots in the parks and around the resort if you are looking for a break from the crowds and a break for your aching feet. Magic Kingdom is the smallest park and yet it has the largest crows. Finding a place to get away from the crowds can be a challenge. However there are at least two areas where you may be able to find some crowd relief. After entering through the main gate head to Tomorrowland to your right. Go towards Space Mountain. From there go to your left to the area between Space Mountain and the Indy Race Cars. There is a walkway that goes by the railroad tracks (it also has a smoking area). It's usually quiet and shady. However sometimes it is closed so check for availability. If it is closed you can face Space Mountain again but this time go to your right. Unless it is a special event, the area around the Space Mountain bathrooms and the stage area is usually less crowded. 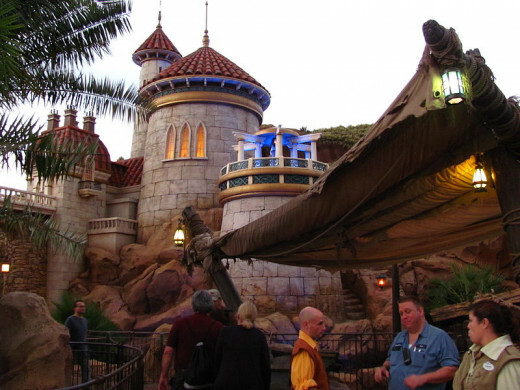 You can also find less crowds in Fantasyland. Head towards the new Dumbo area and then veer to your left at the water attraction. This tent area is a meet and greet for characters but there is usually not a big crowd and you can find a place to sit. In EPCOT you can find several less crowded areas to regroup. A good place to go in the Future World area is to your left near Universe of Energy. There is a sitting area, a coffee stand and some shade. If there is not a festival going on, this area is pretty quiet. (During festivals they open up the area that used to be called Body Wars). Also, if you enter the back doors located near this area to Innoventions, there are benches and air conditioner and this area of Innoventions has very few people in it. If you are in the World Showcase area, head over to Great Britain and to the garden area. Back behind the shops there is a hedge maze and a sitting area. When there is a show going on it is crowded but then people usually disperse and there are very few that remain. It's a good place to take a break and have a beer if you are so inclined. The maze is also good if your kids need to blow off some steam as it is cut low so you can still see them, but they can run around in it and play. Another place is the fountain down in front of the entrance to the Indiana Jones Stunt show. This recessed area is generally not crowded and you can sit on the steps or up on the side of the wall which hold the flower beds. 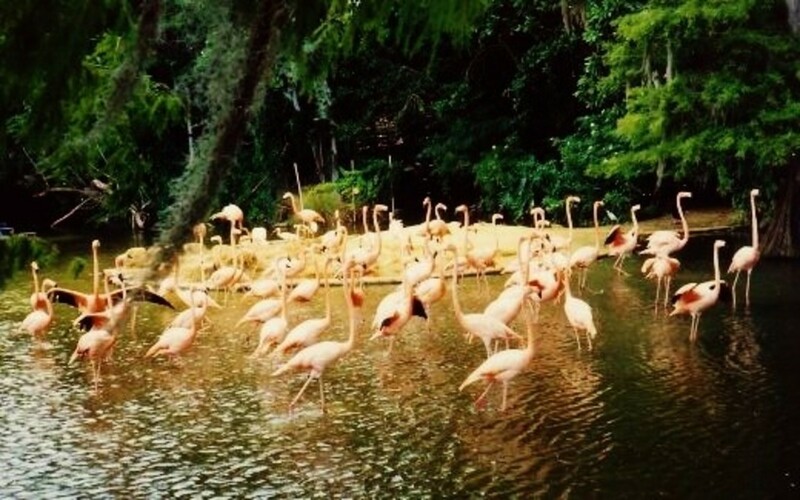 Animal Kingdom always seems crowded to me even when it is not. It is perhaps the design of the walkways that give this appearance. Nevertheless, if you are looking for an area that is less busy and where you can stop and take a break, head to your right after coming in to the main gate and through the path to the park. From there go up to DinoLand and go through or around it as if you are heading to the Nemo Show. 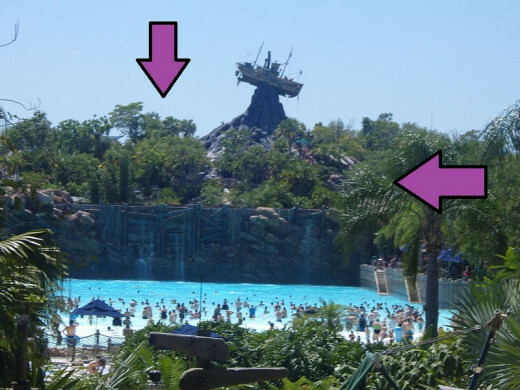 The area right before and right after Nemo does not currently have any attractions. It is usually quieter and somewhere you can go to get away from people, take a break and regroup. 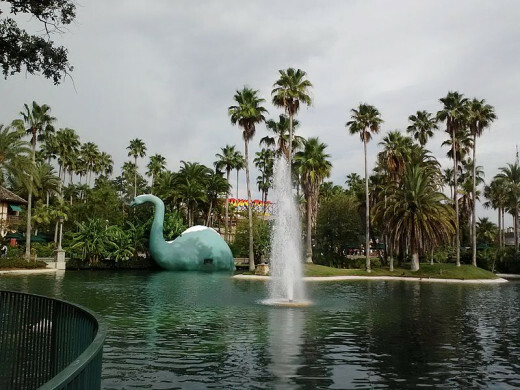 As an introvert who needs some rejuvenating time, here are some other places that I have discovered for a bit of downtime when at Walt Disney World. Trail between Wilderness Lodge and Fort Wilderness: Did you know that Disney has a nature trail? There is a wonderful nature trail connecting the Fort Wilderness campground to Wilderness Lodge. I've never been on it and not seen wildlife including deer. It's nice and quiet and shady and you can access it from either resort area. Beach area at Polynesian Resort/Contemporary/Grand Floridian: All of these monorail resorts have beach areas surrounding the lagoon. If you walk a little bit away from the main entrance way, you can find quiet spots and maybe even a hammock. Cirque du Soleil area at Downtown Disney: Downtown Disney is a madhouse most of the time. If you need a break go towards the Cirque du Soleil buidling (looks like a giant, white tent). This area is usually less crowded and there are even some benches under the awnings. There is also a grassy area where you can sit. "Mountain Trail" at Typhoon Lagoon: If you've ever been to the Disney Water Parks you know that they are a lot of fun but also a bit busy. If you want to take a break just head towards the mountain trails in the park. There are hidden waterfalls and even a swinging bridge. The entrance to the trail is on either side of the big wave pool. EPCOT Hotel Gate: Did you know that EPCOT has two entrances for guests? The other entrance connects to the Boardwalk area and the Yacht and Beach Club hotels as well as the Swan and Dolphin. Just before you get into the gate there is nice open area with benches and a bathroom. If you have a ticket that lets you in and out of the park, you can even go out of the park, rest, and then go back in. 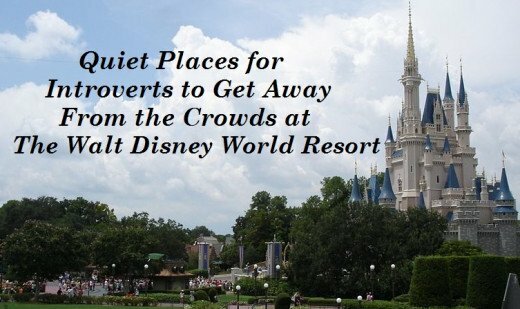 Can Introverts Really Enjoy Disney World? 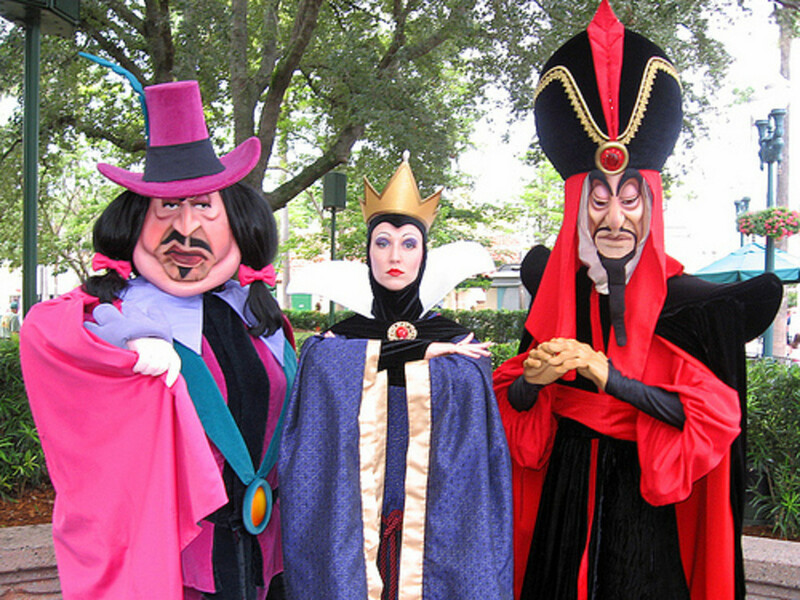 As an introvert myself, I can assure you that Walt Disney World can be fun for you, even when it is hot and crowded. Knowing where those spots are that you can rest and rejuvenate is key. If you have a multi-day trip, plan one day where you don't go to a park. Hang out by the pool. Take a nap in the afternoon. Gaining back energy spent in crowded situations is crucial for an introvert. If you have extroverts with you, you can always separate for an hour and head to one of these quiet spots and then meet back up! 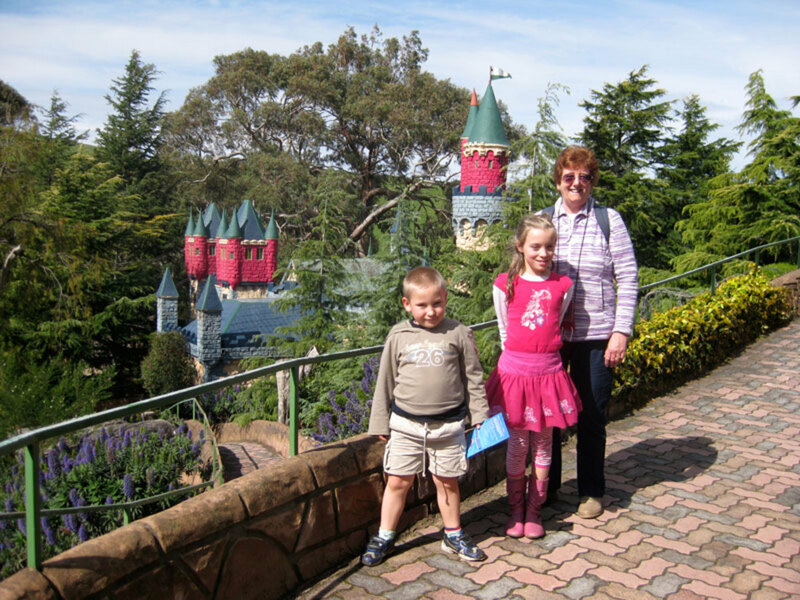 Do you need down time when you are at a busy place like Walt Disney World? Yes, I definitely need downtime in order to enjoy myself. Yes, I can make it without it but it is definitely appreciated. No, I enjoy crowds and feel energized by them. Know of another quiet spot at Walt Disney World? Scroll down to leave a comment! Great idea for an article! I appreciate the resources. Thanks for sharing. I'm the same way. I need some down time but I love Disney. So I found a way to get both and not go nuts! This is great info, Lcd. I find I get cranky when I go to the theme parks. The days tend to be way too long for me and the crowds are just yucky.